These are general resources relating to fitness to drive and epilepsy. The ability of a person with epilepsy to hold a driver license depends on the likelihood of them having a seizure while driving and the impact of a seizure on their ability to drive. Thus, the assessment of fitness to drive in a person with epilepsy is a probability estimate. The ESA Driving Committee has for many years been active in the development of national guidelines for driving with epilepsy, in consultation with Austroads and the National Transport Commission (NTC). The Assessing Fitness to Drive (AFTD) 2003 guidelines recognise appropriately the different types of seizure presentations and the important role of neurologists in advising driver licensing authorities (DLAs) about the risk of further seizures following appropriate intervention. These guidelines can be accessed via the Austroads website or via the links below. Although the Committee has been influential in introducing flexibility into the guidelines, problems related to the process of driver licensing and legal liability faced by doctors remain a major concern for the Committee and ESA members. The ESA and ANZAN have persistently argued that the certification of fitness to drive be removed from the hands of the treating doctor, and that the treating doctor’s role be only to provide relevant medical information for the DLA to make a determination. The process of driver license certification is potentially harmful to the clinical relationship between the doctor and patient as it creates a potential conflict of interest with the doctor is acting on behalf of the patient and the DLA at the same time. Thus, the treating doctor cannot be expected to provide an objective and accurate assessment of fitness to drive, diminishing the quality of the assessment and therefore road safety. Furthermore, certifying doctors are legally vulnerable as no national legislative protection is provided to medical practitioners completing the driver licensing forms. Legal proceedings have been commenced or recommended against neurologists whose patients have been involved in motor vehicle accidents. The ESA Driving Committee, previously chaired by Andrew Black and currently chaired by Ernie Somerville, have corresponded at length with the state and national transport agencies. In 2007, committee members made two formal representations to the NTC and the state DLAs, stressing that certification is the duty of the DLAs, doctors should provide only relevant medical information, expert medical panels need to be established to review complex cases, and indemnification needs to be provided to doctors completing FTD forms. In 2007, ANZAN and the ESA advised their members to continue to certify fitness only in those cases where fitness or otherwise was beyond any doubt. In November 2008, DLAs in NSW commenced a trial of a decision tree developed by the ESA to determine fitness in straightforward cases, based on information provided by the treating doctor. The trial provided useful information but was not pursued further by the DLA. "Driving to distraction-certification of fitness to drive with epilepsy" authored by Ernie Somerville, Andrew Black and John Dunne and published in the Medical Journal of Australia in 2010 discusses the Epilepsy Society of Australia viewpoint in detail. Information specifically relating to the ESA Driving Standing Committee can be found under About Us - Committees - Driving. 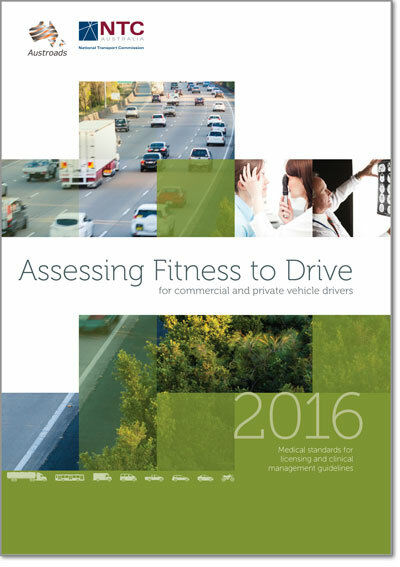 Contact details for state and territory driver licensing authorities are included in Assessing Fitness to Drive.